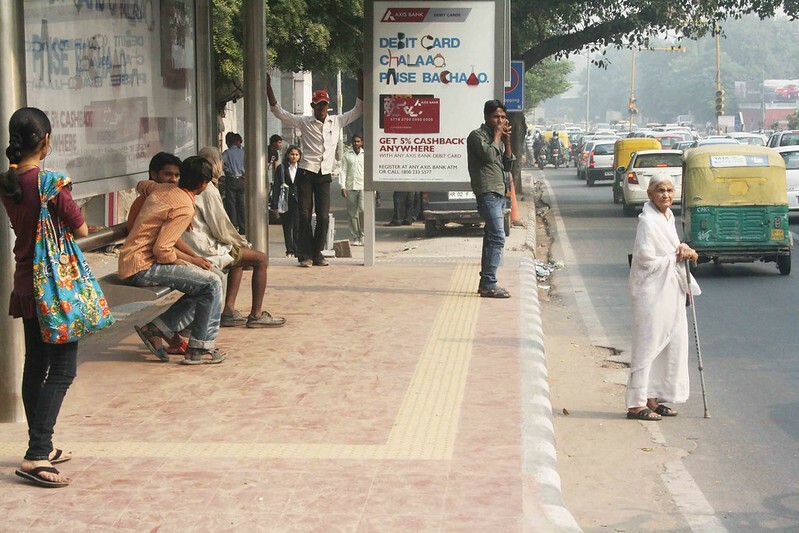 The Delhi Walla saw this woman one rush hour morning at a bus stop in Aurobindo Marg. She was in a white sari; it was embroidered with white flower patterns. Her hair too was white. A gold bracelet was on her right arm; a black bag on her left shoulder. She had brown sandals. Her face had deep lines. Her back was straight. There was no one dressed like her. She stood out like an imperial monument in a concrete junkyard. After all, this is a city of negatives. Smog. Traffic jams. Road rage. Tyranny of the VIPs. Harassment of women. Etcetera. A Delhiwalla often becomes a caricature of the hardened city he battles everyday. But this fragile woman has retained her gentleness. 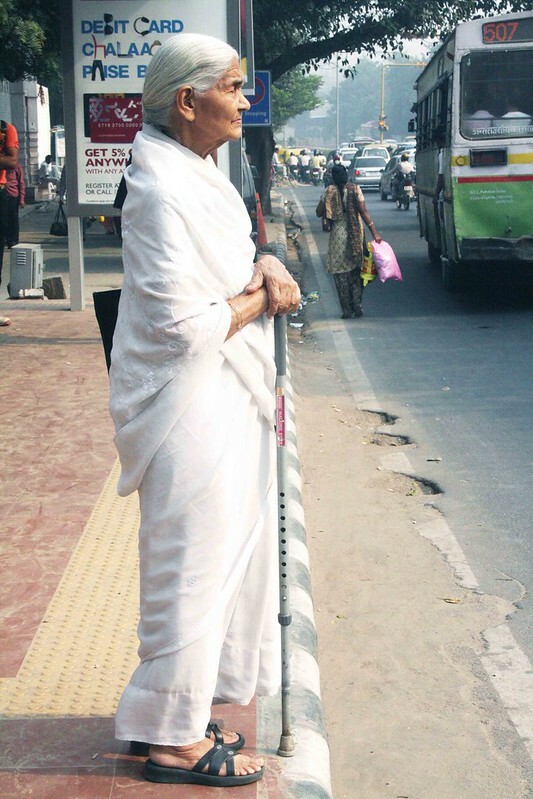 Carrying a walking stick, she was probably waiting for her bus. Would she manage to climb into it? What if the bus would be crowded? 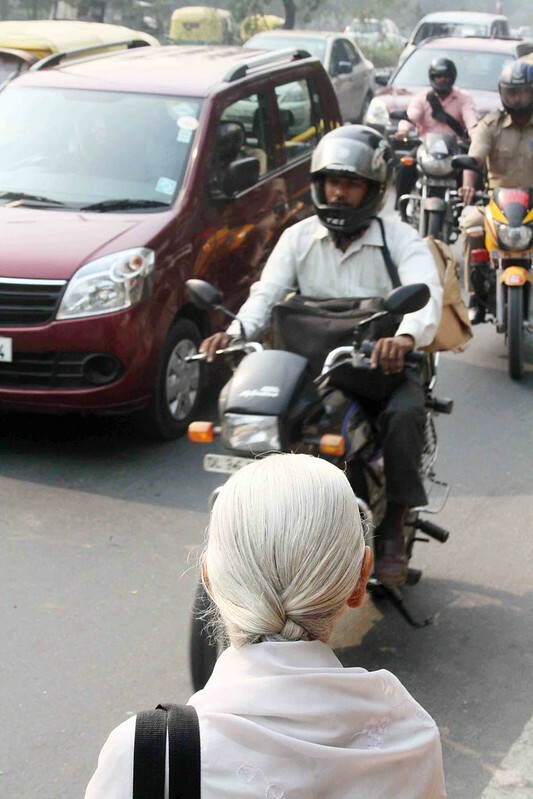 What would happen to her creaseless sari? Would she be offered a seat? These concerns did not affect the woman’s calm composure. The possibility that she has grown old in this man-eat-man city hints at her animal-like resilience. 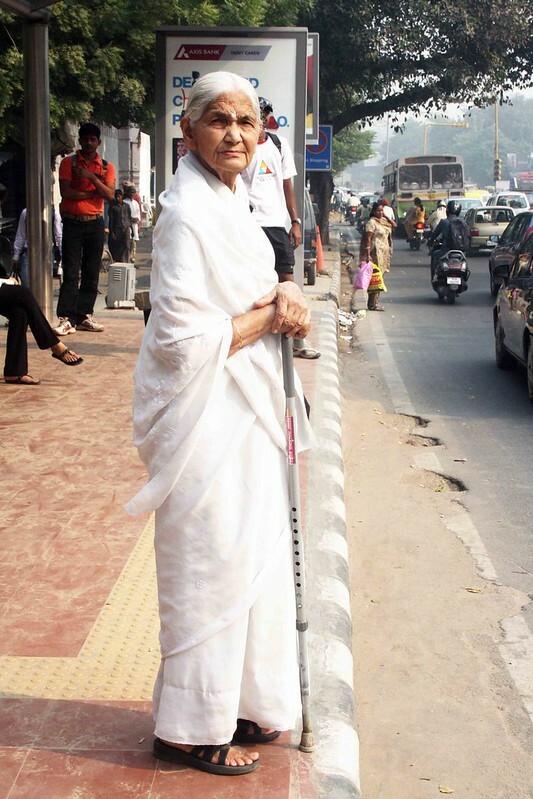 Her gentle grace shows that, unlike most of us Delhiwallas, she hasn’t completely lost her vulnerability. These are assumptions, of course. Who can judge a person by her appearance? But the woman’s quiet style assures us, the city can still sustain a nobility of character. Your eyes are marvelous, M. Soofi !